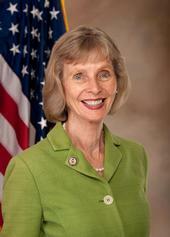 Congresswoman Lois Capps (D-Santa Barbara) meets with University of California Cooperative Extension staff in Santa Maria today to discuss how agriculture in Santa Barbara County has benefited from federal Farm Bill programs, according to an article in the Santa Maria Times. Capps is also slated to learn more about some of the federally funded agriculture projects now underway on the Central Coast. Kind-hearted Californians resoundingly supported Proposition 2 last November, which, among other things, requires farmers to provide the state's egg-laying hens with room to spread their wings. One of the concerns discussed before its passage - that unaffected producers from other states and Mexico will flood the California market with their cheaper eggs - would be mitigated by passage of Assembly Bill 1437, according to a Sacramento Bee story, which also appeared in the Merced Sun-Star. Before the state budget fiasco of 2009, Sen. Abel Maldonado (R-Santa Maria) wasn't well known outside his district. But by making deals with the upper house's Democratic majority and voting for their budget, Maldonado practically became a household name. Increasing his popularity still more among many Californians, he named UC Cooperative Extension when listing California state budget priorities, according to a story by Harry Cline published yesterday in Western Farm Press. California State Senator Dean Florez (D-Shafter) has introduced a bill that would ban the practice of docking dairy cow tails, according to a story in Capital Press. Calling the practice of severing cows' tails unnecessary and cruel, Florez said that the new bill is a good place for him to start in efforts to make animal welfare in agriculture a central issue.